Motorsports technology brought to the road and track. 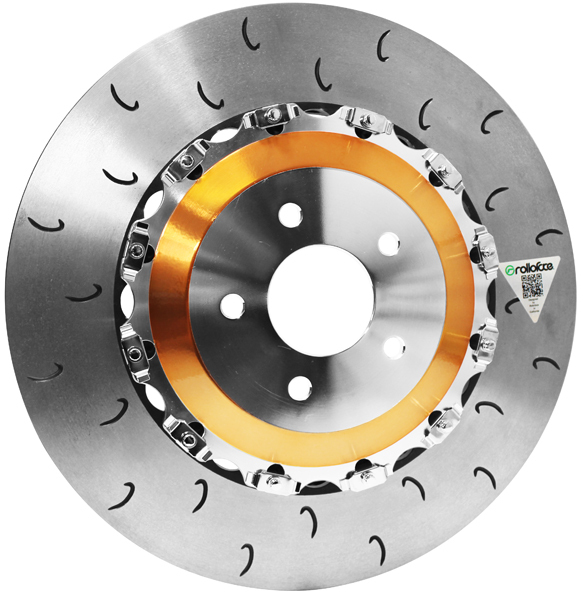 The Rolloface 2-piece replacement rotors are made from high-strength (high-carbon) cast iron similar to the rotors used in race applications. 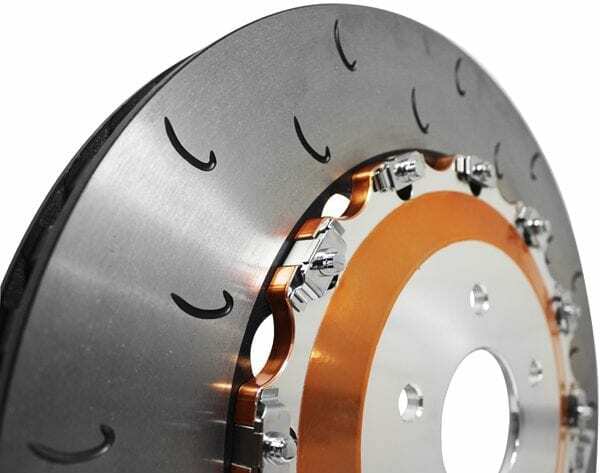 The rotors are manufactured to exacting standards and feature machined grooves in a J-type shape that helps swipe gases and brake dust from the brake pad to provide strong initial bite during brake pedal application. The 2-piece design features the rotor and a 6061-T6 aluminum center “hat” that attaches to the wheel hub and rotor. By attaching the rotor to the center hat with high-strength, chrome-polished and polished drive pins, Grade 12 cap screws and hardened washers, it creates a floating rotor design. 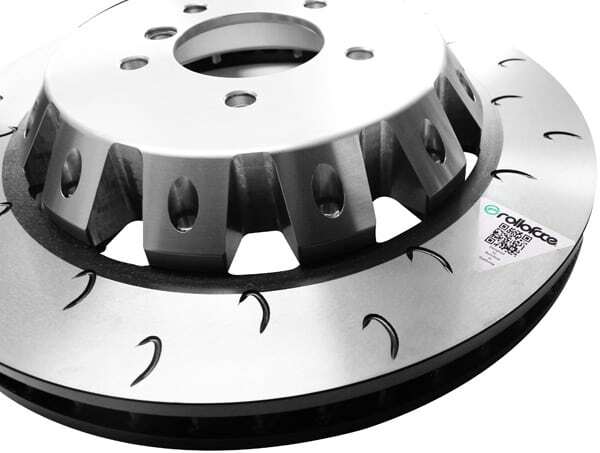 The floating rotor design provides for even distribution of brake pad pressure while also reducing weight when compared to many OEM brake systems. To help increase cooling, the rotor features an internally curved-vane design that helps circulate air. Our system is lighter than most OEM braking systems to help reduce un-sprung weight, which benefits acceleration, braking and handling. The aluminum center hat of the Rolloface 2-piece replacement rotor system is also available in over 6000 different colors for a customized appearance, at no extra charge. 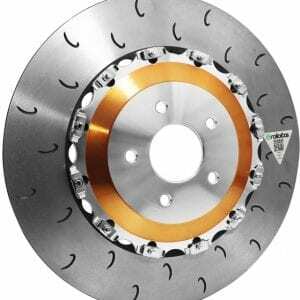 The J-type shape was first seen on the brake rotors of race cars competing in the highest forms of motorsport. Rolloface has transferred this race-proven design for road cars and track cars. They are designed to offer strong initial bite and longevity. 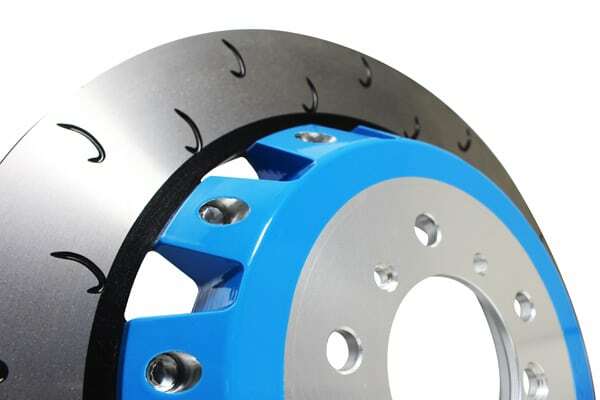 The J-type groove machined into the brake rotor surface are designed to swipe hot gases and brake dust from the rotor and maintain their shape even under hard use. 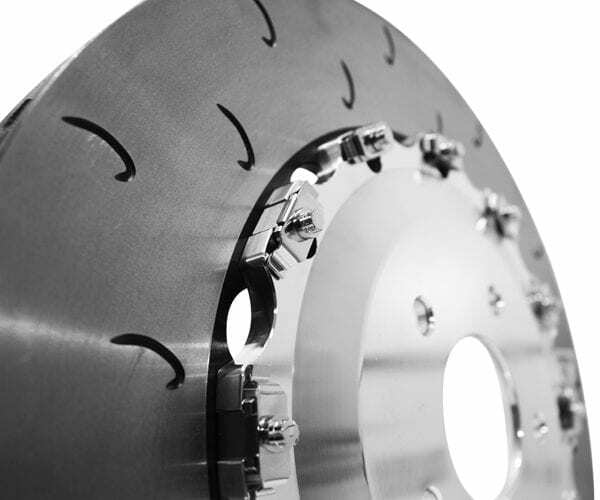 By contrast, the circular holes in a cross-drilled rotor have been shown to form spider cracks under repeated heavy braking usage. 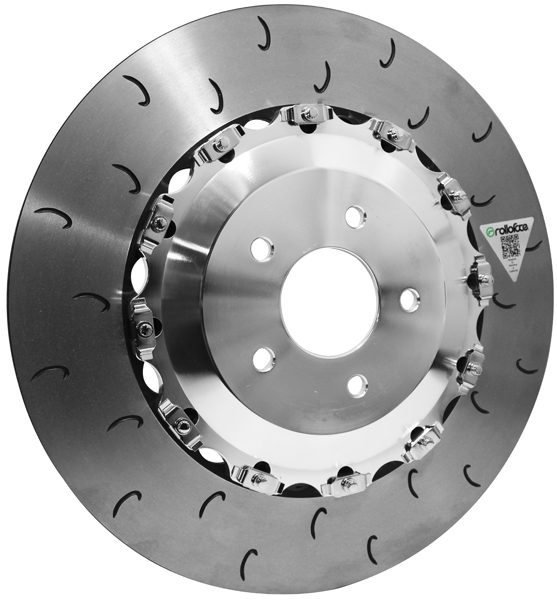 A floating rotor attaches to the center “hat” via rivets that allow for a minute amount of horizontal movement of the brake disc. 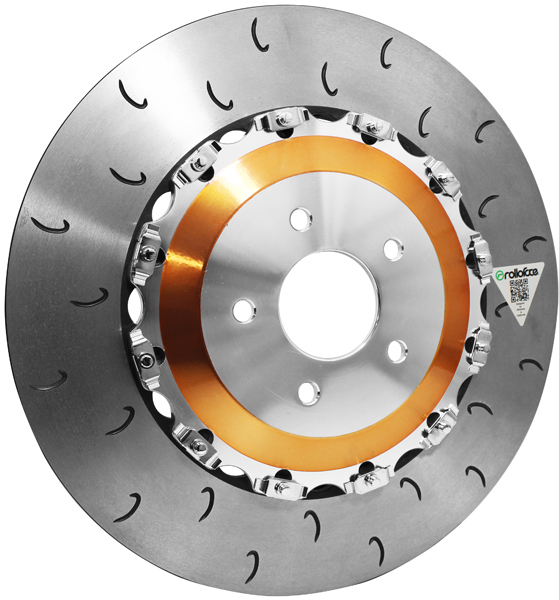 This design helps distribute the amount of brake pad pressure being applied to both sides of the brake disc, thereby reducing the overheating that can occur when one side of the brake disc receives more pressure than the other. 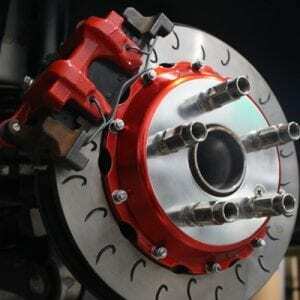 By helping to reduce the thermal expansion that occurs under extreme braking, rotors are less prone to warping.